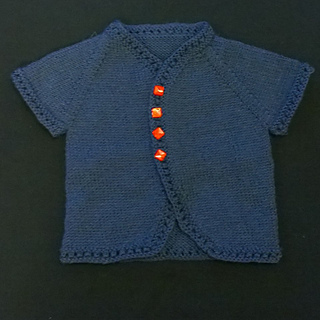 Ding came about from one of those light bulb moments, you know the ones that just pop into your head, hence the name. 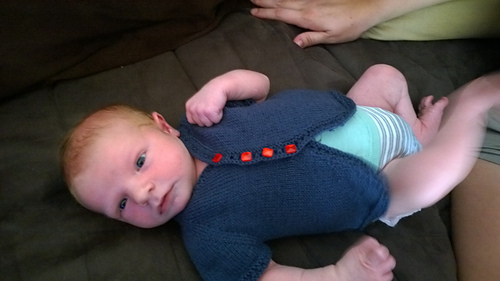 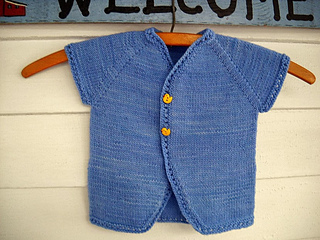 This simple yet charming baby cardigan is composed primarily of stocking stitch with a sweet eyelet border. 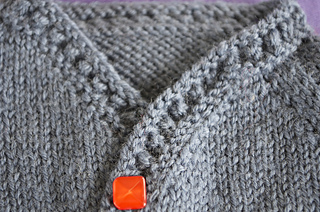 The curved edges of the fronts adds a unique touch to the typical baby cardigan with the overlap and eyelets allowing you to place buttons wherever you like, or not at all. 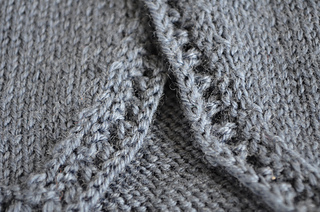 Striping the stocking stitch of the body is another decorative option, leaving the border in one, solid colour.